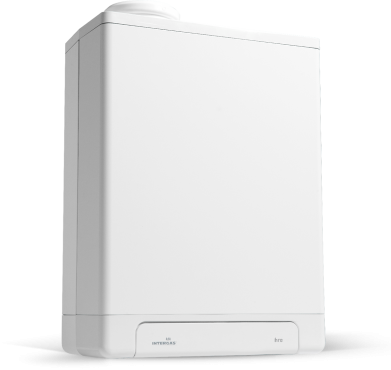 The Compact HRE OV is a regular gas boiler from Intergas. This boiler is a highly reliable condensing, wall mounted unit which needs to be installed as part of a heating system alongside a hot water storage cylinder, cold water storage tank and a feed and expansion tank. This may mean it is not a suitable option for properties where space may be limited. This boiler has been rated B by SEDBUK as it comes with an efficiency rating of 88.9%. The output rating of 27kW makes it perfect for medium sized homes which do not have an excessive need for hot water. Key features and benefits of this unit include it having no air pressure switch, almost no standby losses and the choice between either a horizontal or vertical flue. This boiler has a constantly modulating fan which will automatically adjust the capacity of the boiler to your requirements, ensuring no valuable energy is wasted helping you to save money on energy bills. It includes a 7 year warranty on parts (subject to return on warranty card) but a 10 year warranty on the heat exchanger so you can be sure you’re purchasing a highly reliable unit for your home.